Single, Double and Triple Systems available. 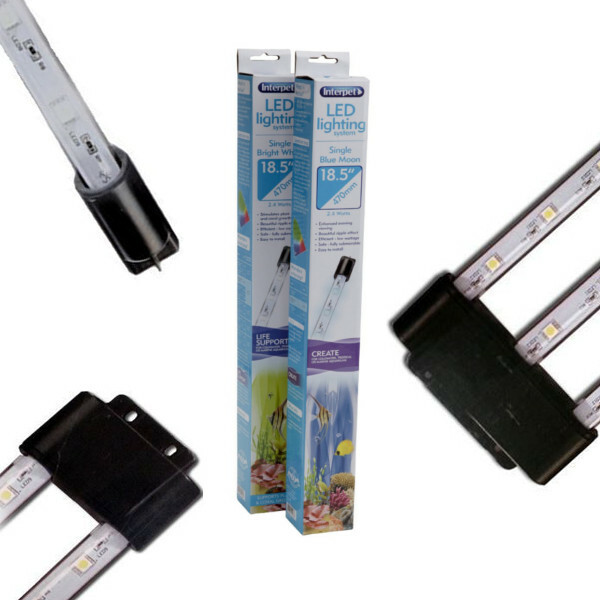 The Interpet LED Lighting bar range easily enhances your aquarium viewing pleasure and allows you to add to your main aquarium lighting whilst also boasting being 100% waterpoof AND fully submersible. The LEDs, in conjunction with the water movement will also add the calming ripple effect, transforming the appearance of the aquarium, allowing you to get the most from your viewing experience. 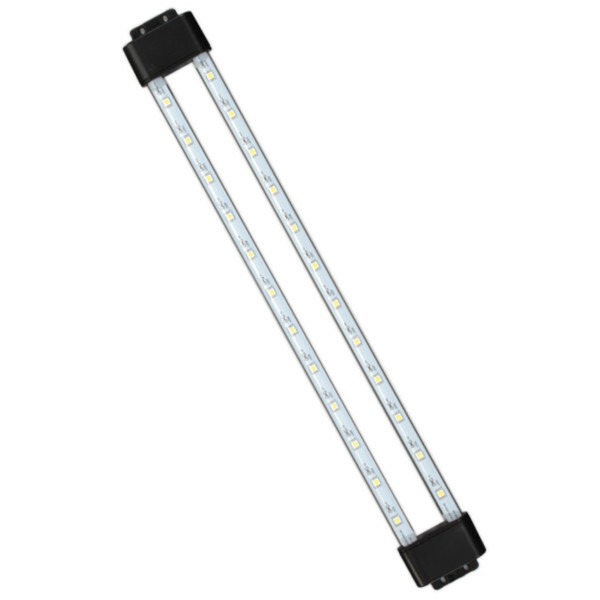 As you may also be aware, LEDs provide a high level of light without using barrel loads of electricity in the process, so not only can you boost your viewing experience, you can do it with minimal additional cost, both in the initial purchase, and in the ongoing running costs. The Single, Double and Triple Light Systems provides a balanced spectrum bringing out the best in the colours of your aquarium and encourages healthy plant and coral growth. Why choose the rest when you can go with the best - Interpet - With over 60 years experience in the aquatic industry.